Two-time Grammy nominee Iarla Ó Lionáird is best known for his unmistakable voice and distinctive sean nós style as part of the stunningly successful group The Gloaming. For this very special concert his is accompanied by acoustic guitar virtuoso Steve Cooney. Ó Lionáird has carved a long and unique career in music. 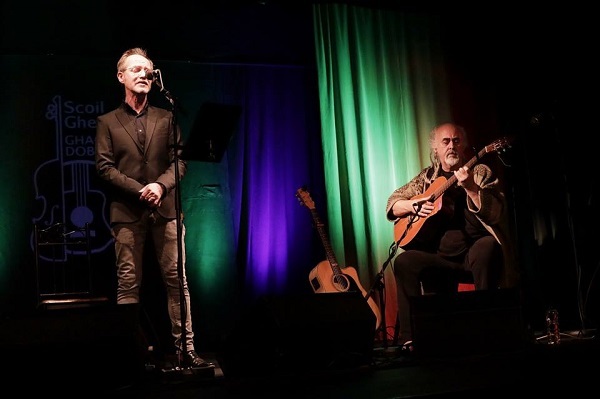 From his iconic early recording of the vision song Aisling Gheal to his ground breaking recordings with Dublin’s Crash Ensemble and New York’s Alarm Will Sound, he has shown a breadth of artistic ambition that sets him apart in the Irish Music fraternity.